It’s been almost six years and nine fights since Bernard Hopkins had a contractual obligation to face a fighter not of his choosing. That fight was the rematch with Jermain Taylor who unseated him from his legendary middleweight perch in July of 2005. That time, it was Hopkins who was able to enforce a fight he wanted. Following his disputed draw with Jean Pascal in December of last year, Hopkins got a second shot at the WBC light heavyweight belt he now carries because WBC President-for-Life Jose Sulaiman ordered it. This Saturday in Los Angeles’ Staples Center live on HBO, Hopkins will be facing an opponent he has not only declined to fight for three years but serves as the first in six years he had no choice but to face. "No one dreams of facing Chad Dawson,” “Bad” Chad’s trainer, “Iceman” John Scully, told me and my co-host David Duenez on Leave-it-in-the-Ring.comradio show. And that is true. At 6’1”, this converted southpaw with solid combinations, excellent agility, good speed and a penchant for boxing rather than brawling is not what you call “Opponent Delight.” Add in an even keel, never-rattled mentality and Dawson is a 29-year-old puzzle the 46-year-old Hopkins clearly did not want to bother solving. But Hopkins wanted that Pascal rematch in order to make his stamp as the oldest champion in boxing history and he got it. Now it’s time to pay the boxing piper. Maybe Dawson doing anything is going to be the challenge. While Hopkins is a master boxer, he is 46 years old. Granted, he is the rare exception in that as he has aged, he appears to have gotten better. But will Hopkins fare better than he did against the limited Kelly Pavlik at 170 pounds or a Winky Wright who was on in years and fighting at about 10 pounds past his best weight class? Will he be enough to handle Dawson, who is much more a prime and complete fighter than those men when Hopkins faced them? Surely, Dawson has faced his fair share of tough assignments. One of them, his first fight with Glen Johnson, may not have earned a passing grade despite a unanimous decision win. However, even facing the rough-and-tumble Johnson cannot prepare any fighter for what a master of dirty infighting Bernard Hopkins is. He can come at you with a lunging right, followed by a headbutt and maybe an elbow at any given moment, sometimes in combination. Dawson’s camp feels prepared as they can be for that eventuality while Hopkins was a bit more philosophical about his tactics. For the record, in speaking to Dawson on Monday, while I questioned Chad about it, he never outright said Hopkins was a dirty fighter. It was a point of emphasis inevitable when interviewing a Hopkins opponent. Still, Hopkins used the perceived slight by Dawson as fuel and perhaps a window into the enigmatic psyche of his opponent. “I believe that I’m a fighter going there to win and I don’t have to fight dirty to win,” said Hopkins. “And I’ve been getting hit in the back of the head in the last couple of fights, starting from the Roy Jones fight because I guess the word got out that must be a sweet spot. But you don’t hear me [complaining] about what happens to me because I realize when you’re in that ring, the referee says it in the dressing room and he says it in the squared circle, “Protect yourself at all times.” I know what that means. I’ve been hearing that for 23-plus years in boxing, so don’t get sidetracked. Perceived slights and mind games with verbal jousting to spare are what Hopkins’ has been all about for years. It fuels him. He needs to know he is mentally dominating a fighter before he gets to physically do it. However, in Dawson, not only does Hopkins have a physical specimen who will be hard to deal with, he has a man who admittedly has been quiet all his life. He is a man who Hopkins has just not seemed to get a verbal or mental foothold on. On Monday, Dawson was relaxed, friendly, and even made a few subtle jokes unlike like the frenetic Pascal who flipped out while attempting to get Hopkins to take drug tests beyond the norm required by a Canadian boxing commission. Still, Hopkins has dug in. For him, this fight is about experience which, in his opinion, will win him this fight. Not youth, speed, power or any other thing beyond his control. Experience. Beyond the mental games, Hopkins sees an admittedly tough match-up in front of him. Even when he is convincing you he will win, Hopkins does display a healthy respect for his foe, key to him that is surely why he has been a winner for so long. Every fighter has an off night. Some fighters look their age, all of sudden. The last time this appeared the case with Hopkins was in the long overdue 2010 rematch with Roy Jones Jr. While Hopkins did not concede that point, one thing he did admit might be a sign of his aging is that he has not stopped a man inside the distance since Oscar De La Hoya seven years ago. “I think that’s what I become old at,” said Hopkins. “I think getting people out has been a struggle because I haven’t really thought about actually getting anybody out. I’ve thought about how can I actually just like overwhelm, beat somebody out, show technical skills and if they go they go; if they don’t, they don’t. I’ve never been really a knockout puncher. I’m a guy that destroys people and I don’t...I say that the way I said it but I don’t say it as in braggadocios. I say it because, I mean, I guess I’d probably would’ve saved a lot of careers that’ve been saved if I’d have just knocked them out. But I was told that the way I punch and how accurate that I punch- and I can punch- but punch enough to really take fights from guys in the future because I sort of wear them down physically. And they never-most of them, I mean- there is evidence out there. It’s not like I’m just saying this in a way of making me look big. Saturday is a lot of things. It’s a chance for Hopkins to extend his record as both WBC light heavyweight and oldest champion ever in the sport. 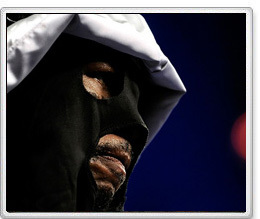 It’s also a moment of public redemption and a step into stardom for Chad Dawson. What Hopkins hopes for beyond the win is to add yet another award to his trophy case. What’s left is Saturday night and whether or not Hopkins can push his oldest champ streak further or simply become an old champ. If Hopkins wanted it any other way, that certainly will remain a mystery.